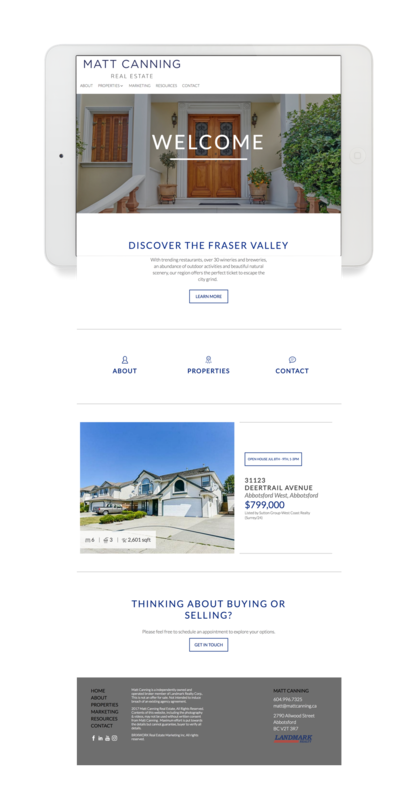 Type-Art Branding, Template Real Estate Website with Mobile Responsiveness, finalized by essential stationery design. Strong, simple & savvy. These are the words that sum up this type-art branding project. 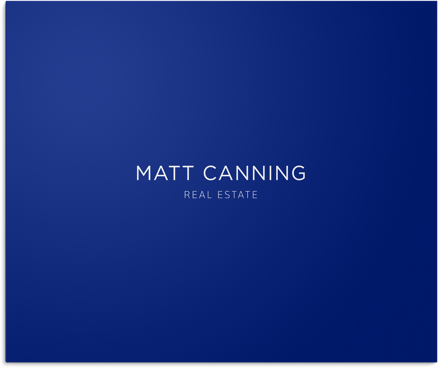 Great typography combination between the primary and secondary type, careful selection of crisp colours created a foundation for a great real estate marketing project. 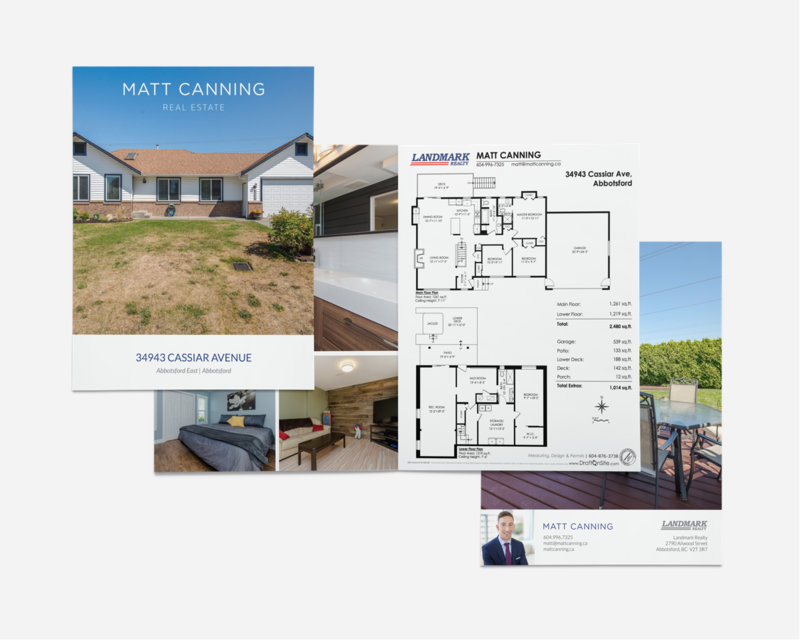 Putting the great branding structure to use, we created some great collateral to help Matt Canning showcase himself as a real estate professional while bringing top-notch attention to his real estate listings. A great brand coming alive on both digital and print media is what motivate our design team. 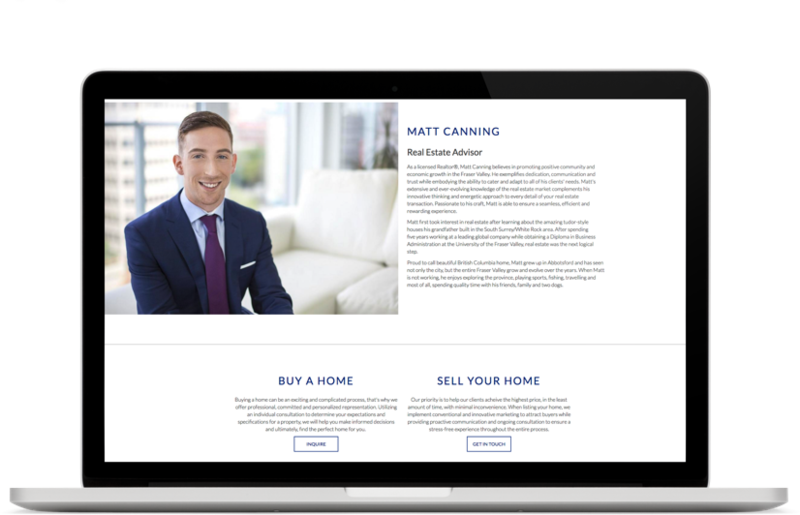 Dressed up for all devices so that Matt looks and shows great to a broader audience – all of our websites, from the very basic templates, are mobile-ready. Whether a customer is looking at your properties from an iPhone, or a 27″ iMac, everything looks great with ease of use. 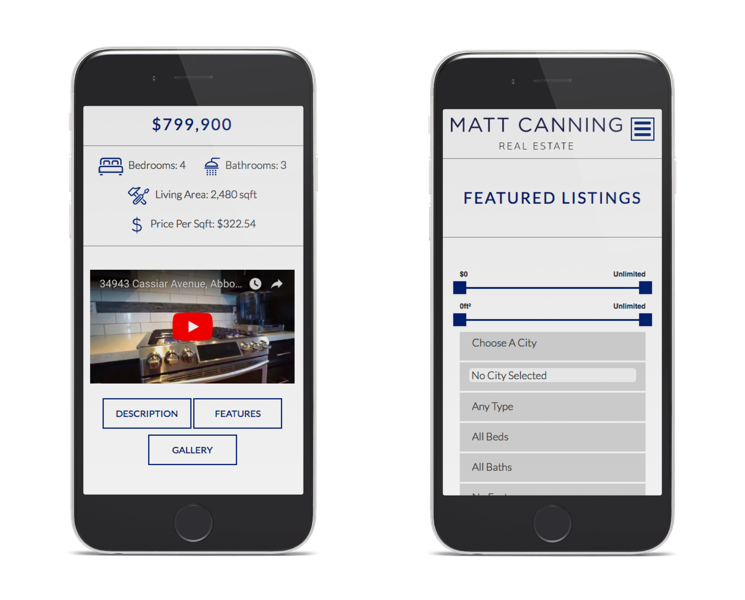 Our mobile-first style & grid core ensures we deliver a consistent mobile experience every time, for every Realtor®.